It’s Small Business Saturday, so you may be able to guess where I’m headed with this next entry in the series…. 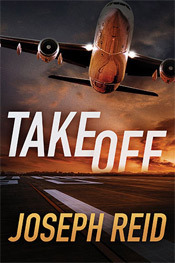 Thanks to the independent bookstores willing to take a chance on me and on TAKEOFF! If you’re in San Diego and haven’t visited Mysterious Galaxy yet, what are you waiting for? It’s everything a bookstore should be–they have a huge selection, but one that’s well-curated so that it’s easy to find what suits you, and a super-knowledgeable, ultra-friendly staff that’s always ready to swoop in with a recommendation or start a conversation. And I say all this not just as someone who’s selling a book through MG, but as a customer. My family has been shopping at the store across two locations and at least 10 years, so I can personally vouch that they’ve been doing this for a long time, and doing it right. I absolutely love Mysterious Galaxy, and they’ve been so supportive of me and my book that I can’t possibly say “thank you” enough to them. The other store I have to thank is Mystery Ink in Orange County. Even though I was just a lowly debut, Mystery Ink treated me like I was one of the top-flight bestsellers they regularly host and were willing to open their doors to have an event for me, which meant so much. As a customer, I love Mystery Ink’s layout–the store has these unique twists and turns that leave you feeling like you’re shopping in a Harry Potter bookstore–plus they have a ton of books signed by all your favorite authors. Given that the holidays are right around the corner, I hope you’ll stop into one or both stores when doing your holiday shopping. They’ve been terrific to me, so I know they’ll take care of you, too. And, as I’ve said elsewhere, books make terrific gifts!